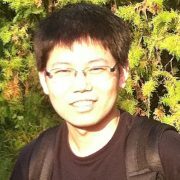 Jianwen Zhang is a Senior Applied Researcher at Microsoft AI and Research, Redmond, WA since 2016. From 2011 to 2015, he was a Researcher in Machine Learning Group at Microsoft Research Asia, Beijing, China. He received his Ph.D. degree in Control Science and Engineering from Tsinghua University in 2011, and his B.Eng. in Automation from Huazhong University of Science and Technology in 2006. He is currently working on a product dialog system for customer service and support, especially on the fused approach of knowledge graph and machine learning. During his period in Microsoft Research Asia, his research was focusing on machine learning methods for knowledge graphs, including relational fact extraction from natural language, named entity disambiguation, knowledge graph and text embedding, etc. He had extensive experiences of applying these research to Bing knowledge graph projects to improve the capabilities on knowledge extraction and linking. He also have special interest on Probabilistic Graphical Models, Non-parametric Bayesian methods, and the applications to topic modeling, aspect based sentiment analysis, etc. During his Ph.D., his research was about exponential family mixture models, Non-parametric Bayesian methods, and the applications to text mining.